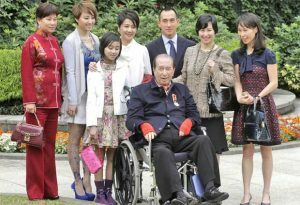 At 97 years old, Stanley Ho, the King of Casinos in Macau, has finally retired. Ho has sired 17 children with 4 women. With his first wife deceased along with 2 children from that marriage, several remaining members of the large family are wrestling for control over the family fortune. 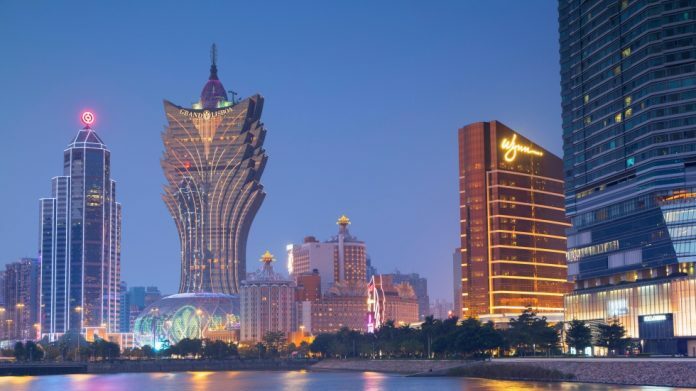 Hong Kong billionaire Stanley Ho’s Macau casino empire started off with the establishment of his company Sociedade de Turismo e Diversões de Macau (STDM). Founded during the Portuguese colonial period of Macau, Ho’s company held a monopoly on all casino interests in the region. Gambling was legal under Portuguese administration, and remained so after Macau was returned to China in 1999. The country retained governmental control over itself as a special administrative region of China. Ho’s monopoly ended in 2002, and a flood of Western casino moguls washed in to fill the market gap. Las Vegas casino kings Steve Wynn (Wynn Resorts) and Sheldon Adelson (Las Vegas Sands) were the first among them. 17 years later, Macau is the number one gambling destination in the world, dwarfing Las Vegas gambling income five times over. Unlike garden variety family feuds, family members of billionaires use leveraged buyouts and hostile takeovers as weapons in their war for company control. And in the case of Stanley Ho’s casino empire, several of his children and his fourth wife are the frontrunners in the fight. Stanley Ho’s fourth wife, Angela Leong, is a billionaire in her own right. She is the co-chair of SJM, parent company of STDM, where she is also a director. She has major property holdings in Hong Kong, Shanghai, and Macau, and she is a member of the Legislative Council of Macau. She hopes to maintain control of her companies after Ho’s departure. She is currently worth $3.7 billion. Lawrence Ho, Stanley’s son from his second marriage, built up several casinos with Australian business partner James Packer. The partnership ended, and Lawrence is currently the chairman and CEO of Melco International Development Ltd. He is currently worth $2.5 billion. Two of Lawrence Ho’s sisters, Daisy Ho and Pansy Ho, have also joined the struggle. Daisy is chairman and executive director of SJM Holdings, and a CFO of Shun Tak Holdings. Pansy Ho studied marketing and business at Santa Clara University in California, and wound up running Shun Tak Holdings. She also partnered with billionaire Kirk Kerkorian’s MGM Resorts to form MGM China. Last week Pansy Ho and Stanley Ho’s second wife, Lucina Laam King Ying, signed an agreement which gave them controlling interest in STDM. The pair hold a combined stake of 53% of STDM. Pansy Ho will also keep her major stake at MGM Grand Macau, making her the current favorite for takeover of Stanley Ho’s casino empire. She is currently worth $5.3 billion. After the new shareholder alliance at STDM was formed, a new player came to the table with his hand out. Stanley Ho’s nephew, Michael Hotung, submitted a legal demand for his $2 billion Hong Kong dollar share in unpaid dividends in STDM. Hotung inherited his shares in the company when his mother, Winnie Ho, died. Ms. Ho, the sister of Stanley Ho, owned 6,263 shares of STDM at the time of her death. SJM Holdings owns 19 casinos in Macau, the lion’s share of gambling operations in the region. As the legal battles continue and company holdings are traded, consolidated, and merged, the winners and the losers in the fight for control will still hold stake in the largest casino empire in the world. Next articleIs the Case against Harvey Weinstein Crumbling?